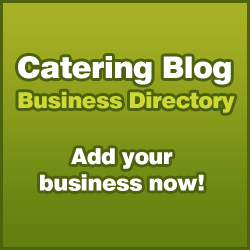 Where to buy your catering equipment? I often browse the web, searching for equipment suppliers latest offers and looking for new companies and what they’re bringing to the table. One such company that has caught my eye in the past few months is Alliance Online. Winners of the Caterersearch.com “Equipment Supplier Website of the Year” award, they are constantly expanding their catering equipment sales with a series of special offers. Discount prices on prime cooking equipment from leading manufacturers, some with huge savings are available on their website. Their kitchen equipment section currently includes cooking, holding, refrigeration, preparation, shelving, catering display units, accessories…the list is endless. The company also offers a full installation service. Anyone have any favourite sites we not have discovered yet? Yeah, I have one. We have just opened a cafe/diner in Maidstone and did plenty of shopping around online as much for research as actually buying the stiff we needed. Ended up buying it all from http://www.advantagecateringequipment.co.uk who did us proud. They delivered all 25 items personally and even helped us unpack and get rid of the packaging! Thanks Keith. I have heard of Advantage, I think they’ve updated the website since I last went on there. Looks good. Sounds like great customer service too! A new site has just been launched by Pages Catering Equipment http://www.pagescatering.com which not only offers all kitchen, bar and front of house products but also has some fantastic exclusive tableware from designer brands like Bauscher, Abert and Italesse to name a few. Well worth a visit and the I have service received has been excellent. You can also pop into their store in Shaftesbury Avenue whenever you are in London. Another other catering equipment suppliers we are missing? I’ve heard to http://www.harmonybusiness.co.uk and they offer great customer service and quality products. I’ve even made my name a link to their website as I thought they were great considering they were just a local company. For catering equipment there is nobody better. I’m not going to fluff up my wording to pretend I’ve made a purchase clearly like the posts above have tried to do;-) Yes it is clearly marketing our brand but on this particular post I think it is reasonable and I would rather be honest. 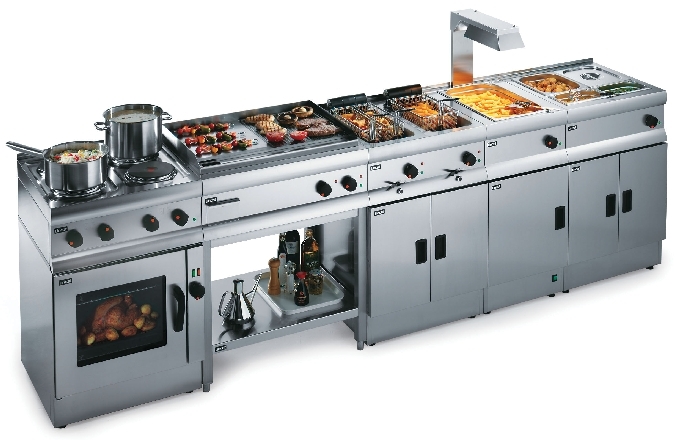 We supply a large range of quality catering equipment. We have a good understanding of what equipment would best suit you and your needs. If you need any advice please feel free to contact us. And yes I work for them too. lol. We do a large range of catering equipment at discount prices in our online store with free delivery. We also offer the complete package of commercial kitchen design, planning and installation. Come and give us a visit. If your looking for cheap Catering Equipment and great service you should have a look at Nextday Catering Equipment there service is second to none. I have used 883 catering clothing for many years now and always received great products as well as service. The people I deal with there have taken it upon themselves to get to know me and my needs and in turn they always offer great deals. Worth checking out. Commercial Catering Equipment and great service you can take a look at G&M Supplies Ltd.Over 14,000 products in stock, everything from Bottle coolers to Commercial Ovens. We also offer new equipment, a full turnkey design and planning service. Again not flowering up any wording to pretend we’re anything other than promoting ourselves. We work in all sectors of catering equipment and have a great level of experience in over 25 years of trading. Have you tried EasyEquipment for Catering Equipment? They have a massive selection and really great prices. We’ve used General Catering a number of times and the service they provide is superb! The commercial refrigeration they provide is great value and a member of their own delivery team provide a fantastic and personal service. we have some really good weekly deals on equipment, check out the front page. oh and a price match promise. My favourite is busychef.co.uk – actually I work for yce.co.uk and it is their internet trading arm! We have strong views here on the discounting ‘box shifters’ in the foodservice industry, so we set out to sell online at competitive prices, but offer the established dealer back up that one would expect from a firm that has been trading for 33 years. We will help customers with advice on choosing the coreect product, kitchen design and YCE employ in-house accredited delivery/installation teams. I was very eager to celebrate my 10th marriage anniversary but being me and my wife both working we were worried how to arrange everything. Then we found Birmingham Catering Hire. They arranged almost every catering equipment for us and we had great fun at 10th marriage anniversary. Shameless plugging but try http://www.ffkcatering.co.uk new site just launched, if you cant see what you need on the site please call us as we have access to over 14000 product lines all with discounts, making us great value.